The Discoveries column in a 1917 issue of Good Housekeeping invited readers to send in their “discoveries” for possible publication. Readers whose submissions were accepted received $1 from the magazine. I always need to buy lots of supplies when canning season rolls around, so I was thrilled to see a reader’s suggestion for minimizing the impact on my pocketbook. I keep a bank on a shelf in my preserve closet. For each glass of jelly I pay the bank five cents, for each jar of fruit or vegetables, ten cents. 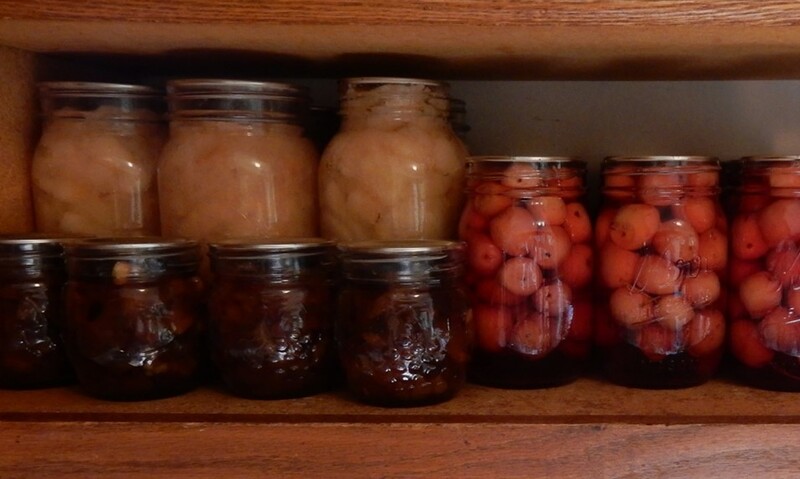 When the canning season comes round again I usually have enough money saved up to buy all the needed materials for the next winter’s supply. This is an easy way to spread the comparatively large expenditures of canning over the whole year instead of having to make them in a few weeks. — Mrs. A.H.G., Pa.
That reminds me of the old-fashioned Christmas Clubs that banks provided. When I was a kid, every week my dad would take me to the bank. I’d produce my passbook and a quarter, and the bank teller would enter my deposit into my passbook. Sometimes, I’d add fifty cents, and now and then I’d deposit a birthday dollar. Then, when Christmas shopping time came around, I’d take it all out, and go shopping! Considering the amount I’ve put up this year and adding the “free” food I put in the freezer, I think I might be looking at a vacation fund. Saving a little at a time is usually easier. Clever lady. Beautiful canned goods on the shelf! Those oldsters (my parents’ generation) could use their noggins. Now that’s resourceful! And I think a lot of people today could uses this kind of money sense. That really is clever. I should charge myself for eating potato chips . . .
Love this it could totally work!